If you have extra time in for your weight routine, consider trying one arm exercises. By taking an exercise that is typically preformed with two arms at a time, like the shoulder press or dumbbell bench press try with only one arm at a time to receive additional benefits to these staple exercises. The one arm technique will take a little longer but the benefits will make the time well spent. 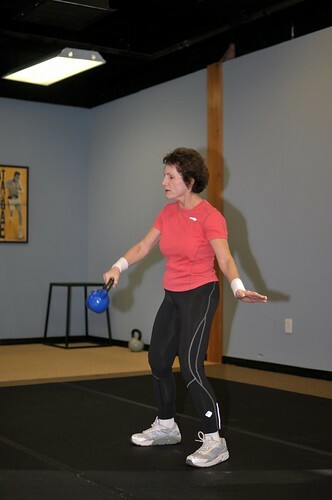 Training this way requires you to keep your balance, which is great for core stability. By using only an arm at a time you recruit the smaller surrounding muscles to support the weight. This strengthens muscles that are sometimes neglected. This training method is also beneficial for functional training. For the most part you will use one arm at a time for day to day activities, such as placing a heavy object on a high shelf at home. To perform one arm exercises always make sure you are holding a weight in the other hand for balance. For example, when doing a one arm flat bench dumbbell press keep one weight in starting position, while the other is completing the set. Then switch sides. This way, the exercise can be completed safely, without having to worry about flipping off the bench. Other exercises using only one arm can include bicep curls, tricep kickbacks, tricep overhead extensions, one arm rows and dumbbell flyes. Any kind of new exercise routine is great for changing things up to keep your body and mind challenged. There are different types of weight loss regimen to be healthy and stay healthy. You just need to find the right fitness program that best suits your schedule and health, just like how to hire a good essay writer, that writes article about different fitness regimen.